Want to send this gift card to someone special? Fill out this form before adding to your bag. I am so happy that Crunchi now offers Gift Cards!! The digital gift card is a perfect last minute gift to send to anyone anywhere! The physical gift cards are beautiful! 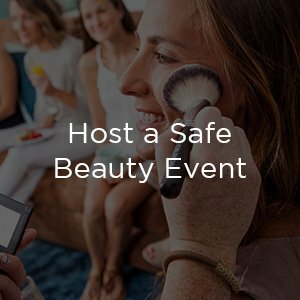 I am so excited that I can gift the women in my life safe beauty and they can choose their products based on what they want/need! The virtual gift cards are so convenient and the physical gift cards come beautifully packaged- truly the perfect gift!! 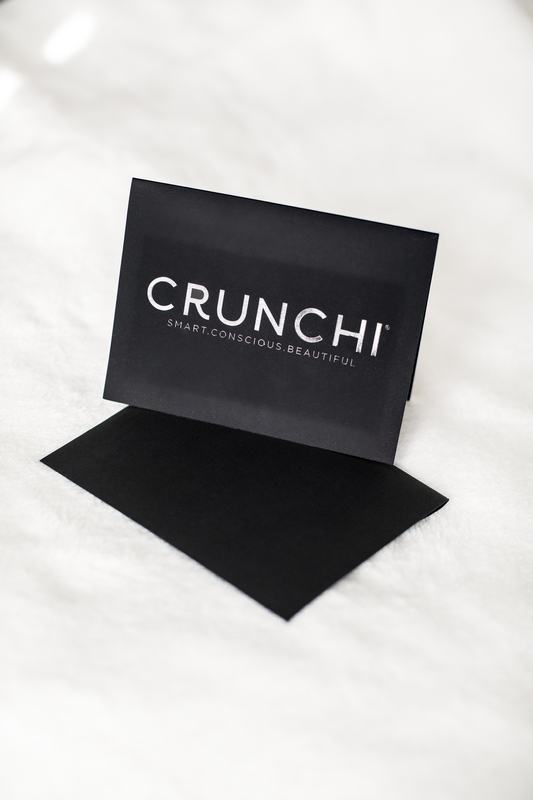 Take the guesswork out of finding the perfect gift, and give the gift of toxin free glamour with a Crunchi Gift Card. 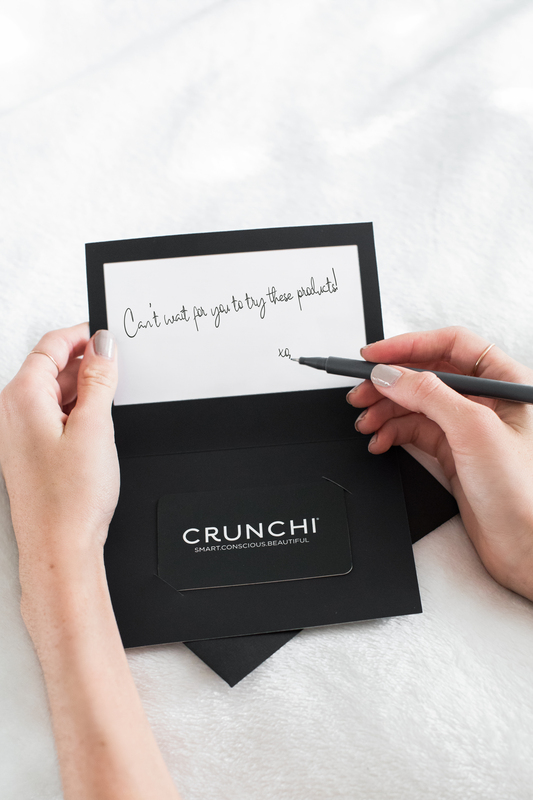 Our physical Gift Cards come wrapped beautifully in a two-fold card and envelope, with plenty of space to write a personal, handwritten note. For your convenience, you may also include a personal message in the ‘Notes’ at checkout that will be printed on the order receipt to your loved one. For a faster and more environmentally friendly option, we also offer digital Gift Cards that can be sent via email immediately and include a personalized message. Our physical Gift Cards ship for free and are sure to be a hit no matter the occasion! This is one gift everyone is sure to love! 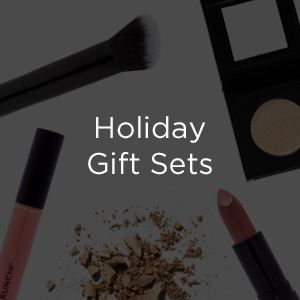 *The value of the Gift Card does not count towards the $150 free shipping when it is purchased, however the gift card will count toward this shipping value when the gift card is redeemed. *Crunchi Gift Cards are only valid for purchases at Crunchi.com. Code must be entered at the time of sale. It is not redeemable for cash or credit, is not a credit/debit card, and has no implied warranties. The purchase amount will be deducted from the gift card amount. 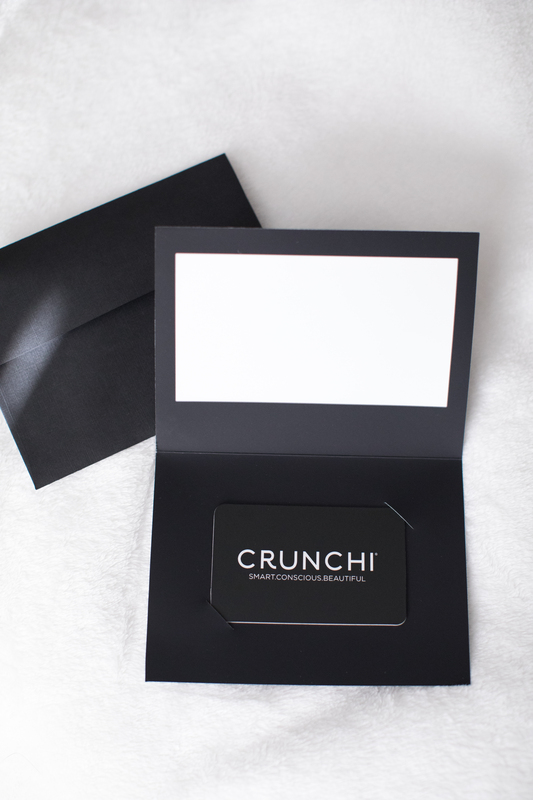 Except where required by state law, this gift card cannot be replaced if lost, stolen, or damaged; therefore Crunchi recommends saving your unique gift card code in case of loss.